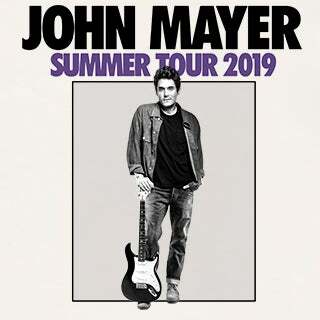 LOS ANGELES, Calif. (January 28, 2019) – GRAMMY Award®-winning artist JOHN MAYER has added North American concerts to his 2019 World Tour and will return to the AT&T Center in San Antonio on Saturday, Sept. 7. Tickets will go on sale to the general public beginning Friday, Feb. 1, at noon through ATTCenter.com, Ticketmaster.com, and 800-745-3000. American Express® Card Members can purchase tickets before the general public beginning Tuesday, Jan. 29 at 10 a.m. local time through Thursday, Jan. 31 at 10 p.m. Fan presale tickets will be available starting Tuesday, Jan. 29 at 10 a.m. local time. Fans can sign up now at JohnMayer.com for exclusive access. Additional presale opportunities will also be available. A limited number of LaneOne Premium Packages will also be available, including amazing seats, transportation, preferred entrance and more. Check LaneOne for details.